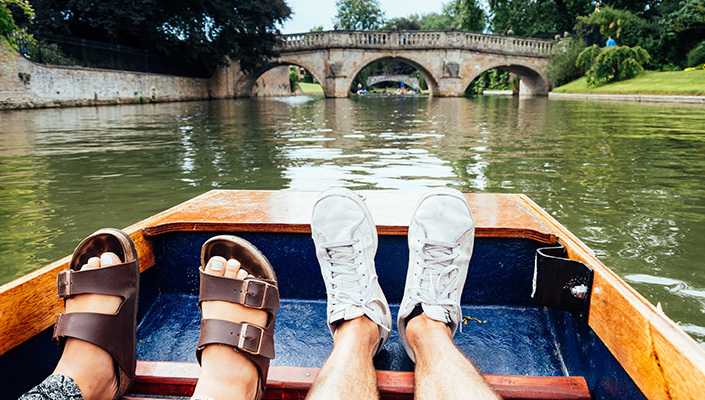 Cambridge is a fantastic place to be, and we know that enjoying where you live plays a big part in your experience of it. We want to help you find the right home for you, guide you through the steps leading up to move in, and be there for you when problems arise, both large and small. Living with friends in a proper home can be a really fun experience, but you do need to make sure your house mates have a fairly similar approach to life as you, or you could end up miserable. We at Cambridge Property Lettings think only you can really know who you will get along with, so we don't try to match tenants together. 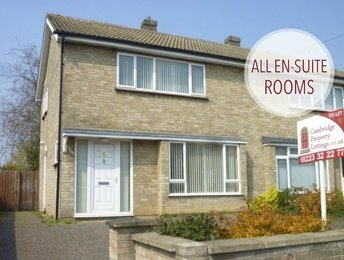 We have student houses for between 2 and 6 tenants, and all bedrooms are individual. Get your group together to discuss choosing your new home. Agreeing price is vital - everyone needs to be able to comfortably afford their share of the rent, with enough left over for bills and everyday living expenses. 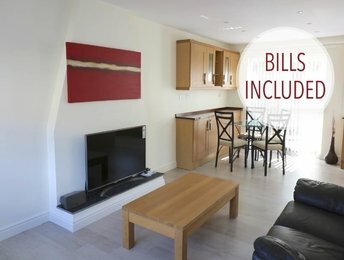 Would you prefer an 'All bills included' rent? 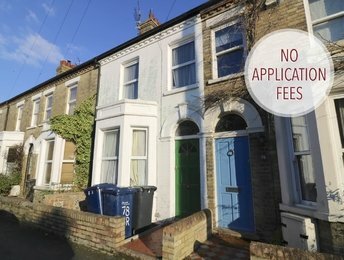 As students you will each need a UK based guarantor who has an annual salary of no less than 36 x one months rent divided by the number of bedrooms. It will help if you all talk to your guarantors at this time to ensure they are aware of the requirements. If you do not have a UK guarantor, contact Housing Hand (www.housinghand.co.uk) who may be able to act for you. Location is an important factor - would you prefer a quiet or lively area, close to the shops or within easy reach of the river and open spaces? How near do you want to be to college and university facilities or travel connections such as the bus and railway stations? All of this will of course depend on whether you want everything to be within walking distance or you are prepared to cycle or catch a bus. Properties further out from the centre tend to be less expensive, so it's worth discussing this option. How important are features such as a shared living area to relax in together? Most of our student properties include this all important communal space, and all come furnished, and equipped with white goods (things like a fridge and washing machine). Click Here to see what properties we have available now, and Click Here for property alerts, to be among the first to see new properties as soon as they become available. If you spot something you like, why not hit the 'Share' button so others in your group can see instantly. Make sure all of your group are able to view at the same time, as all of you need to have seen the property before you can apply. There is a great deal of competition for good properties, so be prepared to move fast. Once we have received identity documents and satisfactory referencing of tenants and guarantors, the tenancy paperwork will then be emailed to you for online signature. We are required by law (Immigration Act 2014) to ensure all adult tenants have the right to rent in the UK. For this all tenants 18 and older will need to visit our office in person with the required information. The time frame for this will be confirmed when your referencing is complete. Before moving in you will need to pay the first rent payment and deposit. We also suggest you set up a joint household bank account, with a standing order to us which ensures we receive rent as one payment on the 1st of each month. Your Property Manager will give you a time to collect your keys. Then the excitement of moving in and enjoying your new home can begin! Before you actually move your things in, check through the inventory. Mark any differences and if possible take photos. The inventory must be returned to us within 48 hours. Don't forget your Property Manager is there for you throughout your tenancy to help with any niggles or queries. Read the Handbook which is specially prepared for your property, with plenty of tips to help you make the most of your new home. Maintenance issues can easily be reported via our website and for more urgent matters there is an out-of-hours phone line. Thanks for making this transition so equitable & seamless. Dear Rachael, - thanks for letting us know how the land lies, it's helped us very much in our decision as to how to proceed. I very much enjoyed looking round the house with you the other day, & if it turns out that we are looking for accommodation when ****** returns we will definitely come back & look at your company's properties. All the best. agent for our property whilst we are living in Australia. finally meeting her in person during our visit back to the UK in July. is over seeing the rental of our house and any issues that arise. OK...I have received payment now...thank you very much for the last few years and for a painless move out process. Hi Rachael,Thank you very much for your assistance over the last few years. It has been a pleasure working with you. CPL will be highly recommended to our friends who might require your services in the future. Getting the house back to full good order is essential. The contingency arrangements you made for such situations were very effective. Without the swift action, life would have been quite miserable. I’ve just spoken to Adam and he told me about the auction that you guys held for your Cambridge places, and the £295 that was raised. I just wanted to say a huge thank you on behalf of Cancer Research UK, and myself, for your support. We receive no government funding at CRUK and so it is down to our amazing supporters, like you that we can carry our life saving research. So thank you so much, we really do appreciate it. Dear Jeremy - Thank you for your message and the excellent service that you've given. I would be happy to recommend you to other people. Thank you very much. Kudos to your professional process/jobs and I enjoyed stay in your property. Lastly, I just want to say CPL is by far the best letting agency we have rented through - you guys are all fantastic and I couldn't have been more impressed, from the initial viewing to the checking. Jeremy, We just wanted to express our thanks for the help and advice you've provided along the way, ever since we first looked at Cuprum in Occupation Road about 18 months ago. I also thanked Jamie given his opportunistic tenant find. Althought not a legal requirement, they ensure the properties on their books all have a fixed wire test on them. This ensures the electrial safety of the property for their clients & tenants, plus reducing long term costs. There aren't many letting agents that to that!. Thank you so much for your service. Will and I have been very impressed and will certainly be recommending you to other people. Please do let us know if we can provide any feedback that will help in some way. You're amazing at your job. No worries! I knew you meant Friday. :) Tomorrow is the blind installation. Thank you for everything. Thank you Jeremy for your fantastic service! 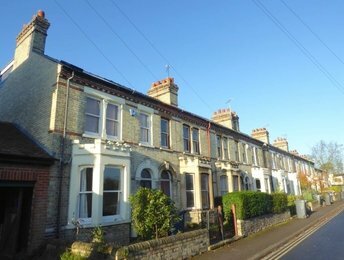 We'd recommend Cambridge Property Lettings to rent out a house. It's so easy as they do everything - sort out any problems, organise a gardening service, deal with any repairs that need doing, show new tenants around. Very helpful and efficient. Many thanks for your careful management of our property! Dear Jeremy, Thank you so very much - it all looks excellent and ready to move in... Your services are worth every penny as you do so much in managing the property. Thank you Rachael, we have very much enjoyed living at Springfield Road and appreciated everything you and CPL have done for us over the year. Thank you again. Many thanks for carrying out the inspection and sending me the report. Your service is really professional and effective! Thank you. Thank you very much for looking after my house with such care. It has been a pleasure working with you and I wish you all the best for the future. I will definitely recommend your service to friends - All the best…. After so many problems with tenants and completions in the last 3 months and with the problem of the distance, we have realised that we rely on good agents. But unfortunately, we did not have a lot of luck. Except with you. Again, thousands of thanks. We really appreciate it. I would recommend CPL as a letting agent to anyone needing to let out their own home. I had occasion to be overseas for two years and employed CPL to find me a reliable tenant. In addition I took their package to monitor and maintain the property. Not only did they find me some wonderful tenants who take great care of the place, they equally looked after the tenants interests during plumbing breakdowns and other issues. Thoroughly professional. I felt very confident and secure leaving my home in their capable hands. Thank you very much: it almost feels as though I’ve been there. I think you and CPL are an excellent team to work with. You could certainly teach the London agents a thing or two. Thank you for your detailed explanation. Nice to rent a flat from such an efficient team. Thanks for your email. We've had quite a few ups and downs over the years with the house but throughout it all Cambridge Property Lettings has been a joy to work with (please feel free to use this comment in your advertising). On many occasions Natalie and I have relied on Rachel's sound advice. On behalf of Natalie and me, many thanks once again. Thanks, will look forward to seeing the photos and hearing how it's going. We do appreciate all your efforts in getting the work done and another tenant in so quickly. With the profit we have made on the purchase and refurbishment of our flat. We are continually amazed at the speed and efficiency with which everything is dealt! Thank you very much for your excellent management of the whole project. Hi, That's absolutely fine to deduct the water bill from the deposit. We look forward to receiving the refund of the remainder. 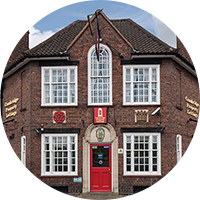 We also just wanted to say thank you very much for all your help over the last three and a half years, we've very much enjoyed living in Bailey House, and the service you have provided has helped that. Same here, we would definitely recommend yourselves to others. If you need a reference for letting the house, you can use our name to recommend that wonderful home. Many thanks to you and Jeremy for your careful management of our property. We hope you and all the staff have a very Happy Christmas. I'd like to take this opportunity to thank you for the brilliant work you have done in managing and maintaining my property. I will unreservedly recommend your and CPL's letting services to other people I meet. Your help has been much appreciated; it has been a pleasure working with you. Thanks very much for being flexible about this and please pass on our thanks to Rachel for helping us with this while you were out of the office. Thanks for the way you do look after our places so we don't have to worry about them. It is no surprise to us that your business is growing. I wish you could look after our other properties and give them all the care and attention you are so good at. My experience with your company has been nothing but positive, and I will certainly recommend you to my friends and colleagues should the situation arise. We never had any doubt that we were placing our property in extremely professional hands. So it has proved! We are able to relax knowing that 43 ********* is being looked after by yourselves as if it were your own. We were particularly pleased that you managed this year's tenancy change with no void period at all. Many thanks again for your efficiency, you really make my life much easier! you really make my life much easier! Hi, Before anything else, I would like to thank you for your hard work taking care of our property. I have just read through the emails at the bottom of the statements,so THANK YOU!!! for dealing with them. Just wanted to thank you and tell you what a great company you have been. We have let a wonderful property from you for 2 years and we could not have been treated any more kindly. Whenever we had a problem and called you and it was taken care of very quickly and efficiently. Thank you. You made renting a very enjoyable experience. You have a great team working with you. You know, out of two dozen letting agents, you were the only one to get back to me. We continue to be really impressed with how quickly everything is always dealt with! Thank you for your good wishes and your succinct news summary of the proposed changes coming up in the new year. Again we would like to express our gratitude for the superb management of our property you have given us over the years. One aspect we particularly value in our times is the element of trust which is renewed again, not only in reliable handling of our property, but also in the way you have commercial news in this letter. We appreciate the 50% sharing of the loss of tenant fees, too. Thank you so much for getting this done so quickly. We always get an efficient great service from CPL and am most appreciative. Thank you for that and also for the whole year! We’ve all agreed how you’ve been the best letting agency we’ve had and your quick responses have been greatly appreciated. We’re all leaving this weekend but are coming back to touch up paint and hire the cleaner so may see you then. France is treating us fairly well thanks Jeremy, exceptionally busy - but good. It was great to see CPL's award for Property Management excellence, as this certainly echo's our experience of CPL's performance so far, it has allowed us to be very hands-off - which is exactly what we needed given how full the last 12 months have been. If we are still this happy towards the back end of the year then I'll happily write CPL a glowing testimonial to use as you deem fit. Disappointing about the cleaner - we have also had radio-silence from them so I suppose we have been burned. Your plan sounds very reasonable. We agree with the deduction proposed and please find attached another copy of the leaving form. Thank you for your excellent services as a property manager. Just to let you know that Nicolette and Valerio have settled well into their new home. Both Milan and I are very grateful for all your help. The whole process of letting out our property went very smoothly and we received only the best advice and service from you and your team. A big "Thank You" to all of you. Thank you for that and also for the whole year! We’ve all agreed how you’ve been the best letting agency we’ve had and your quick responses have been greatly appreciated. We’re all leaving this weekend but are coming back to touch up paint and hire the cleaner so may see you then. Thank you for all you have done this year to make our first venture into property investment so straightforward for us. You have been so helpful at every stage, from Trevor’s initial ‘no obligation’ advice on trends in the Cambridge property market, the expeditious building work on the property, finding us excellent tenants, drawing up the contract and the ongoing management / progress reports. The extent and quality of your service is outstanding. I just wanted to write and say thank you for such a beautiful rented property , Your standards and help as a letting agency should be commended and I would be more than happy to recommend you to anyone I know. 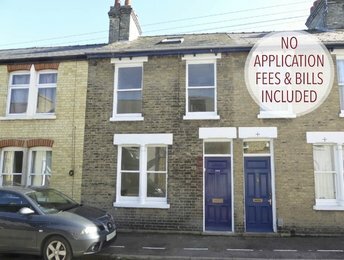 The property that has been let is of a very high standard comfortable bright and clean throughout.I personally hope to continue to rent from you throughout ****** time in Cambridge. Many thanks and appreciation. I would like to thank you for all your efforts and say that it has been a pleasure dealing with yourself over the last few years. The letting process and the administration has been very professional. Take care and all the best for the future. Good morning, I just want to thank you for your support, for the kindness and professionalism you offered to us. We proceeded with our application and your colleague is guiding us indeed. Have a nice day! The money achieved my account today. Thank you for being so helpful this morning with my request to rent a home in Cambridge. Thank you very much for your information. We are pleased everything is in perfect order with the property as we left it if very good condition. Will & Kate did really good job cleaning property. Please also thank all CPL employees in our name for great support and help they gave us for over 3 years of our tenancy. Also please send our regards to the landlords. We are really pleased that you've been our Agents as we really appreciate fairness, professionalism and competence. 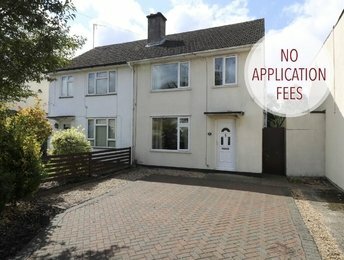 the property is wonderful & I'm so happy to say that we have had no real problems at all for the time we have been here - any minor issues have been sorted straight away with no fuss. There are many nightmare stories about some of the letting agencies around Cambridge & I am so thankful that Cambridge Property Lettings isn't one of them! Thanks again for your help this week. My mum rents a house in Melbourn near Royston and her tenants are due to leave in June. I recommended you guys to her as she has had some problems with her current estate agents. Have a great Easter. Claire and I would like to thank you for the seamless service we have received from you over the past year. Renovating a house has been a huge undertaking and the fact that the rental arrangements for our alternate accommodation have been so straightforward has been a huge blessing. Should we ever diversify into the landlord business I think we will know where to come! Thank for the update and for the continued upkeep of my house - I appreciate the ongoing care by CPL staff. Having rented though several letting agents in Cambridge, my opinion is that CPL is by far the most helpful, professional and efficient. please feel free to quote this if you wish to. Today the fridge-freezer was successfully installed and the issues with toilets and the lock were all ﬁxed. I wanted to say thank you, from the whole house, to yourself and everyone else who has helped us. It has been a really unfortunate period where we have had a few issues that have been ﬁxed and we really appreciate all the support and kind assistance we have received from CPL. Many thanks. Let us hope all goes smoothly, but it is good to know that the tenant can be left to your safe hands! I do appreciate how you have kept in touch with me throughout the whole process and have dealt so efficiently and patiently with all the matters that I raised. You are my guardian angel in Cambridge! Thanks for all your help and support through the past year. I would recommend your services to others. Thank you so much for taking care of everything. Yes, I am happy with the refund of £*********. Please extend my thanks and regards to our landlord as well as the rest of the Cambridge Property Lettings team. We have been very pleased with your service and wish you continued success. very responsive and helpful and I appreciate your dedication. From everything I've seen Cat, and the rest of the team, have been doing a great job and have been particularly patient with one set of tenants who seem rather more work than normal! Trevor, Just to thank you for the speedy and efficient way in which your firm has sent the accounts. Others could learn from you. That's absolutely fine thanks for everything you've done for us! You been so helpful and we are extremely grateful. If you could put the money into my account that'd be great. Thanks Cat. I wish all lettings agencies were as good as CPL! Thanks. Thanks for everything you've done for us! You been so helpful and we are extremely grateful. If you could put the money into my account that'd be great.